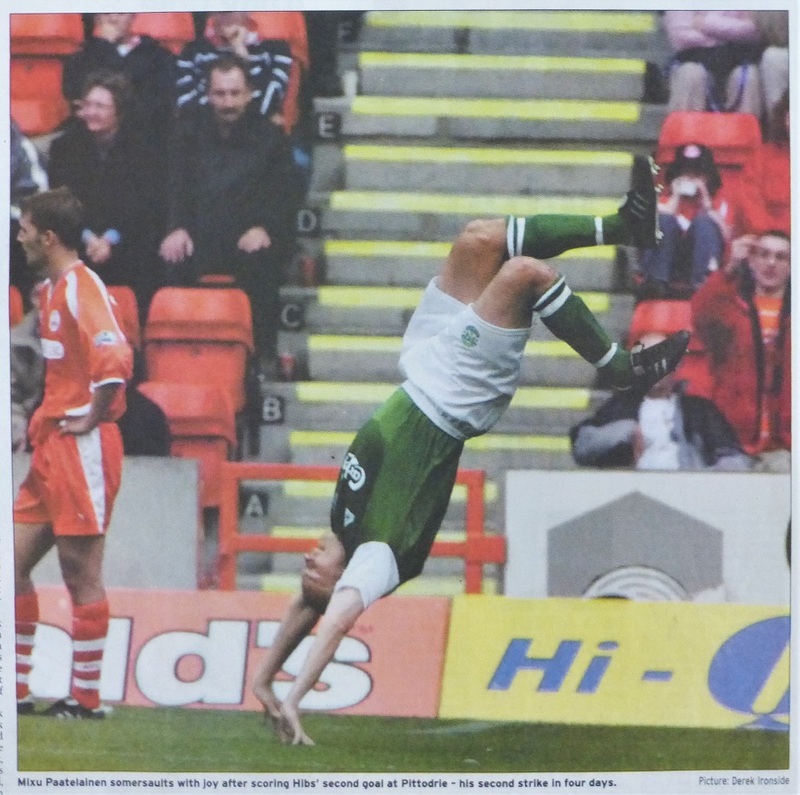 Categories: Press cuttings | Tags: Aberdeen, Nick Colgan, Pittodrie | Permalink. 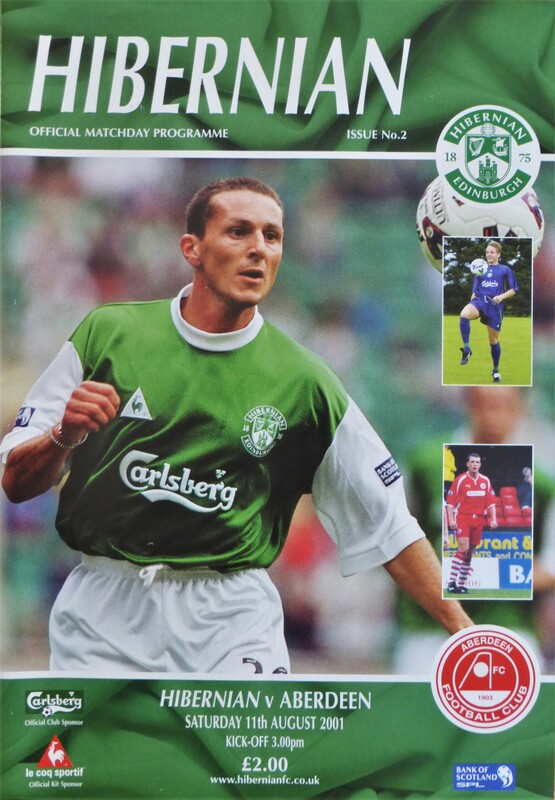 Categories: Programmes | Tags: Aberdeen, construction, Easter Road, Franck Sauzee, stadium, Stuart Crowther, Tam McManus, West Stand, Willie Hamilton | Permalink. 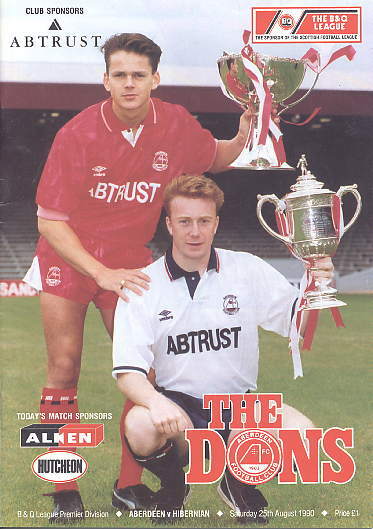 Categories: Press cuttings | Tags: Aberdeen, Mixu Paatelainen, Pittodrie, Russell Latapy, Scott Bannerman | Permalink. 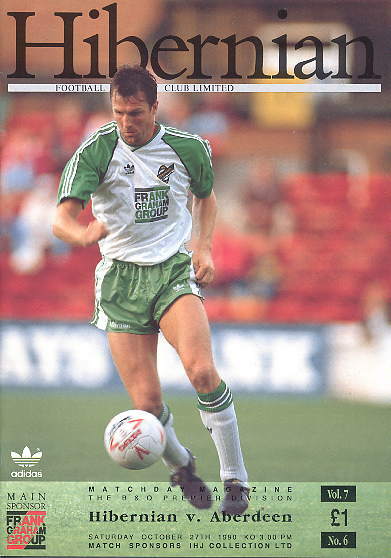 Categories: Film, video, DVD, Programmes | Tags: Aberdeen, Andy Dow, Arild Stavrum, Hampden, Russell Latapy, Scottish Cup | Permalink. Typical Hibs, winning a meaningless end of season league fixture against the same opponents to whom they had capitulated three weeks earlier in the Scottish Cup semi-final. Categories: Press cuttings | Tags: Aberdeen, construction, Easter Road, Kenny Miller, pitch, slope, stadium, West Stand | Permalink. There were times during the summer when many must have doubted that Hibs would even be around to fulfill this fixture. Whether it was thanksgiving for their deliverance from the clutches of Mercer, or just the usual early season optimism, a sizeable Hibs support made the journey north for this first league match of the new campaign. Categories: Programmes | Tags: 1964, Aberdeen, Bertie Vogts, Jim Bett, Jim Scott, John Collins, Pat Stanton, Peter Cormack, Pittodrie, Robert Connor, Scott Booth, Summer Cup, Theo Snelders, Willie Hamilton | Permalink. Categories: Programmes | Tags: Aberdeen, Ad Watch, Brian Hamilton, Gordon's Tratttoria, Jillian Binnie, Keith Houchen, Murdo McLeod, Paul Wright | Permalink.